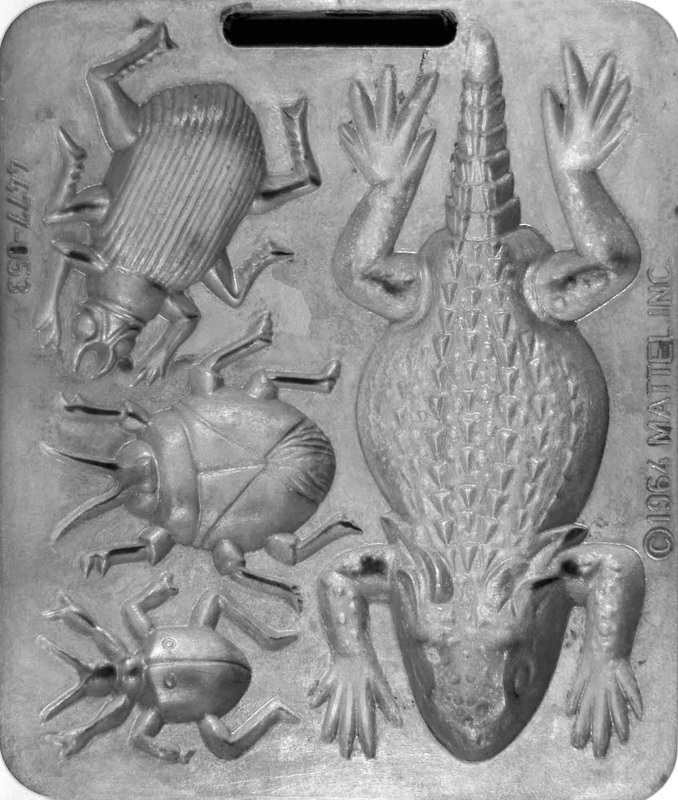 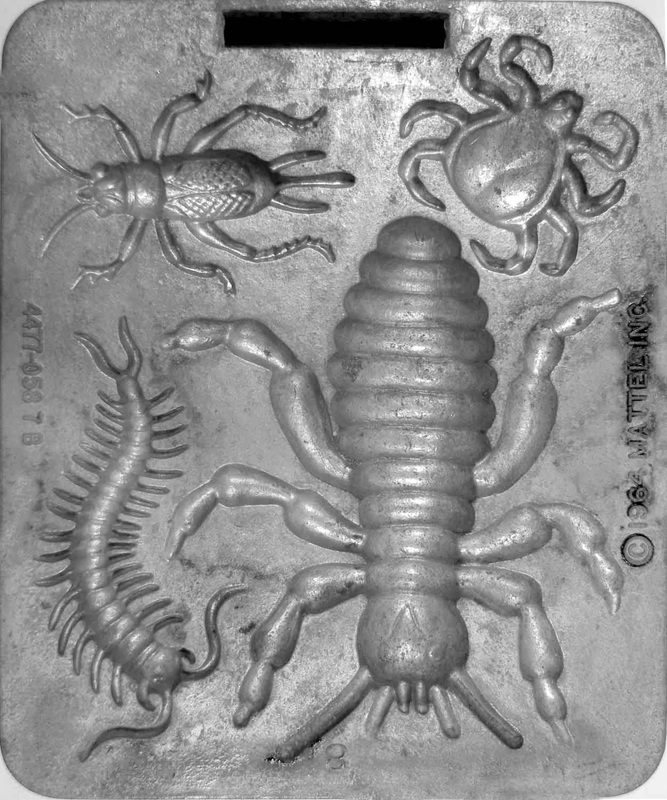 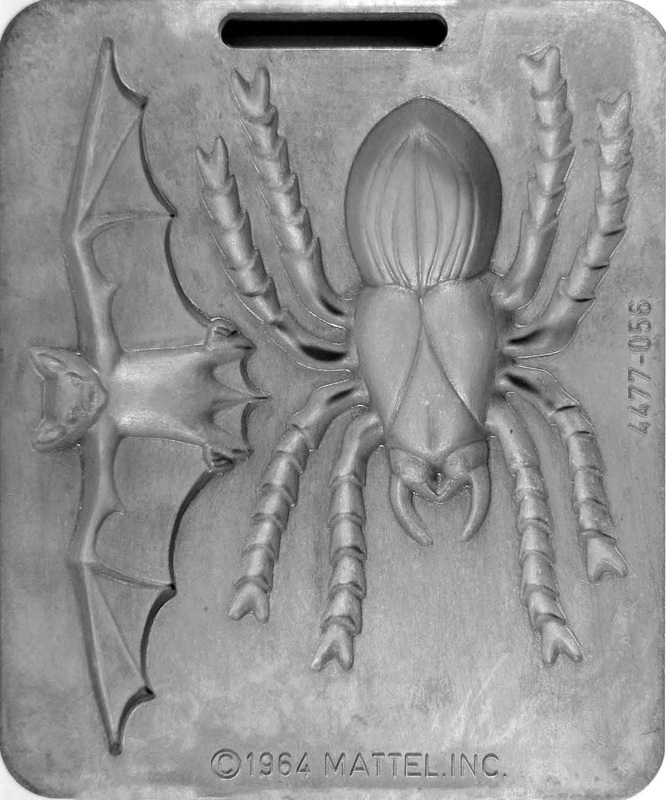 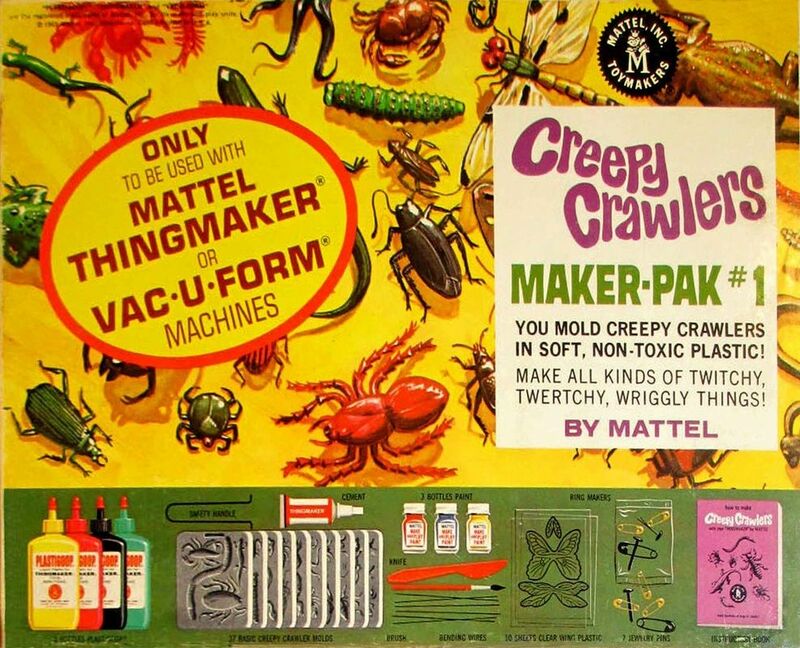 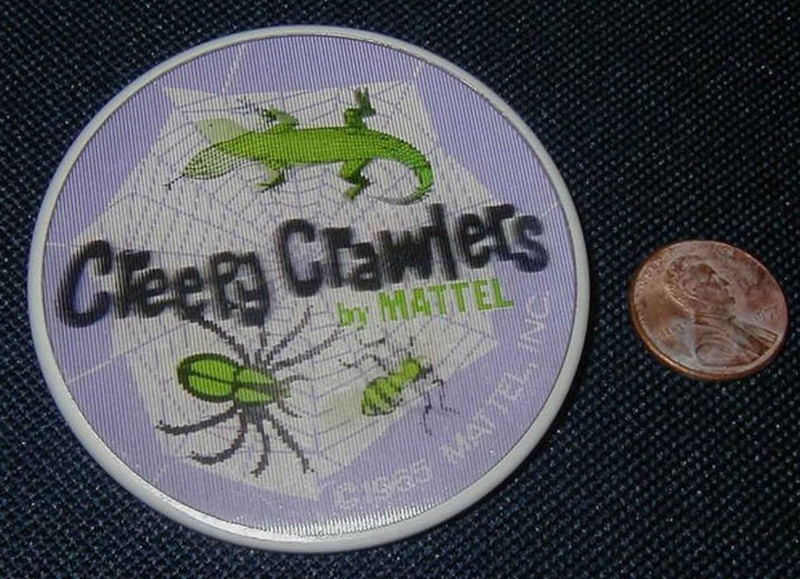 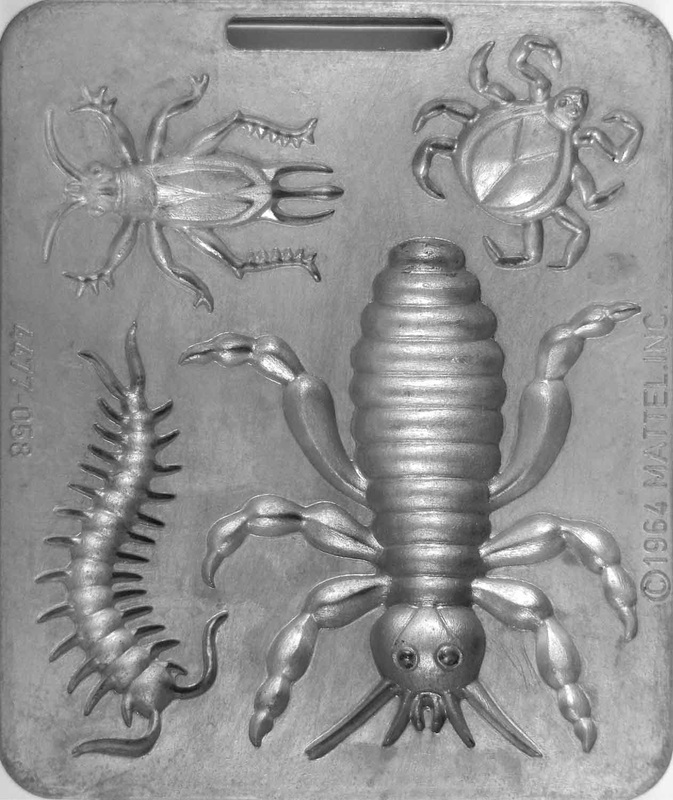 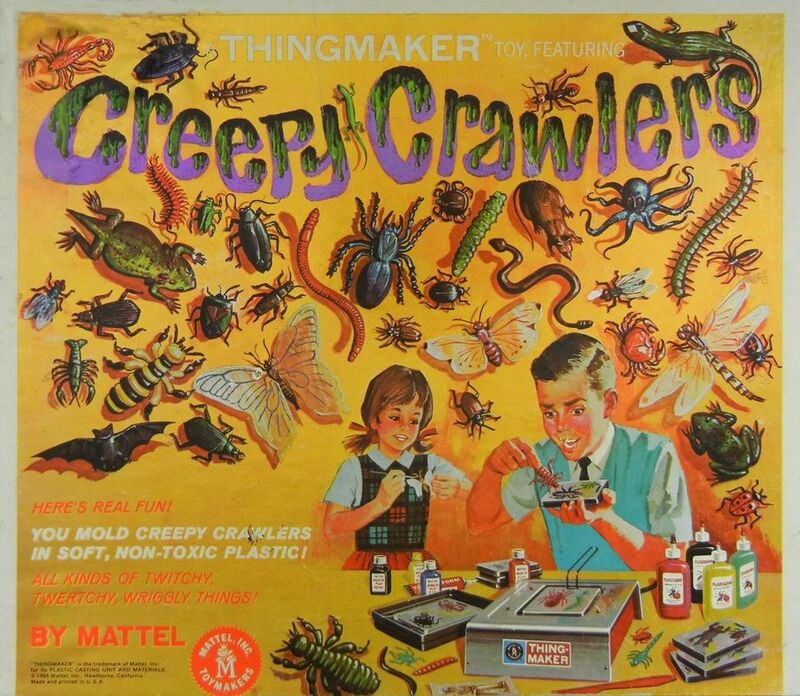 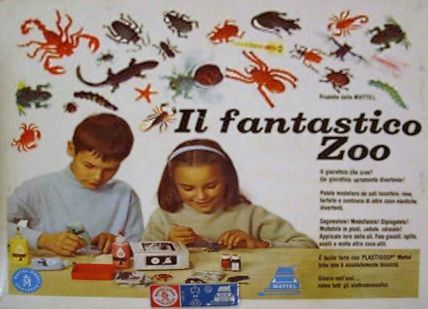 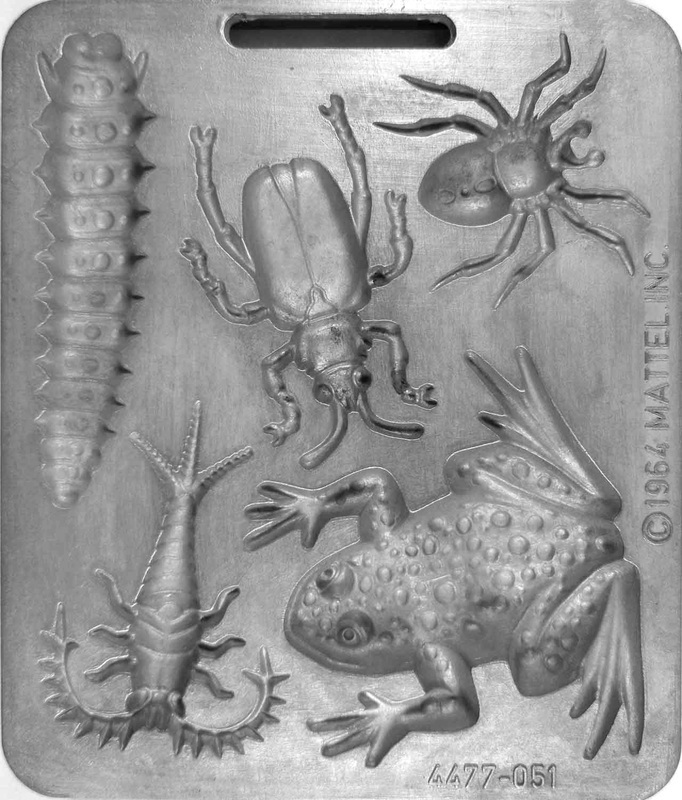 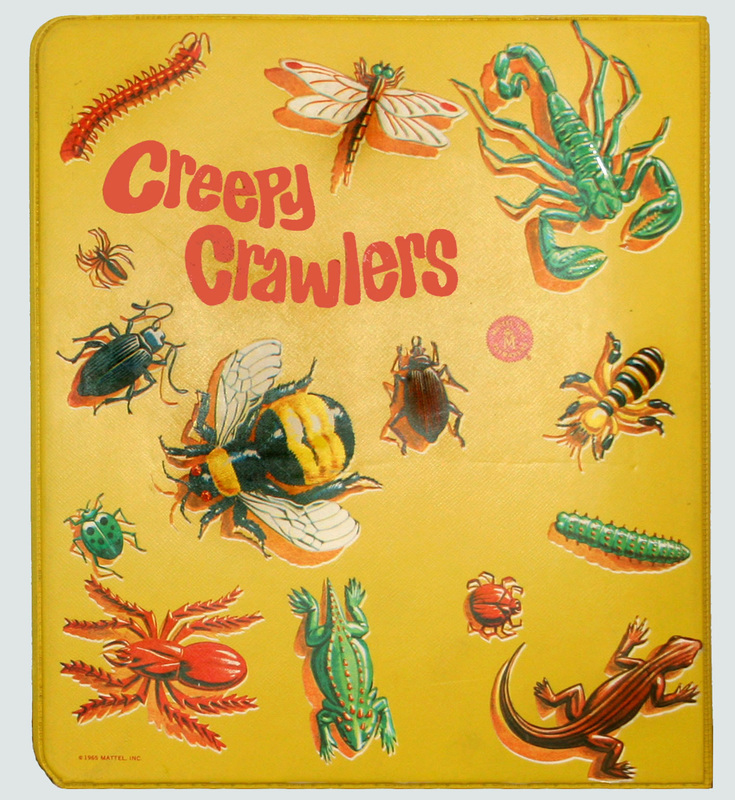 THE EXTREMELY RARE CREEPY CRAWLERS BADGE! 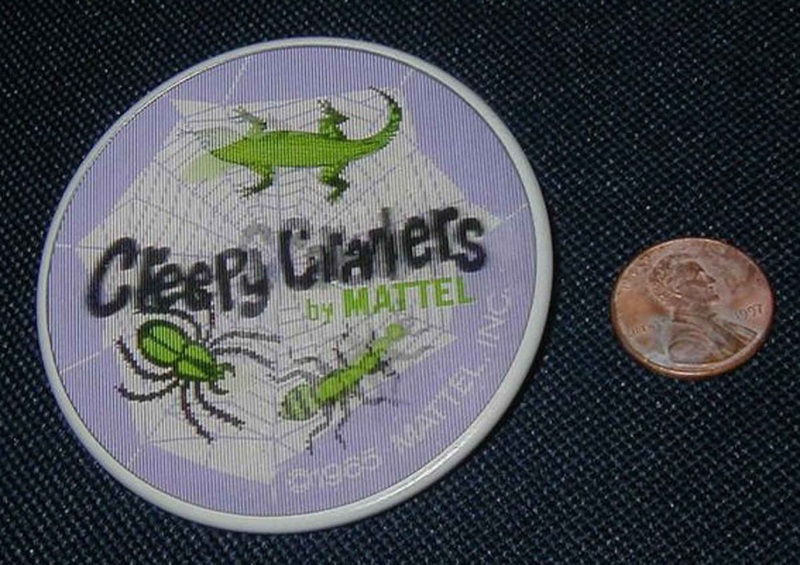 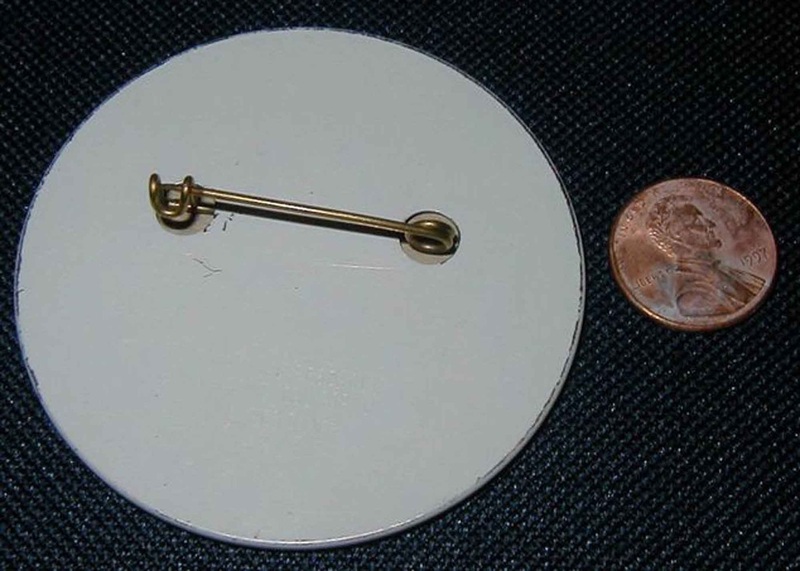 These badges were worn only by Mattel Salesmen, and were not available to the public. 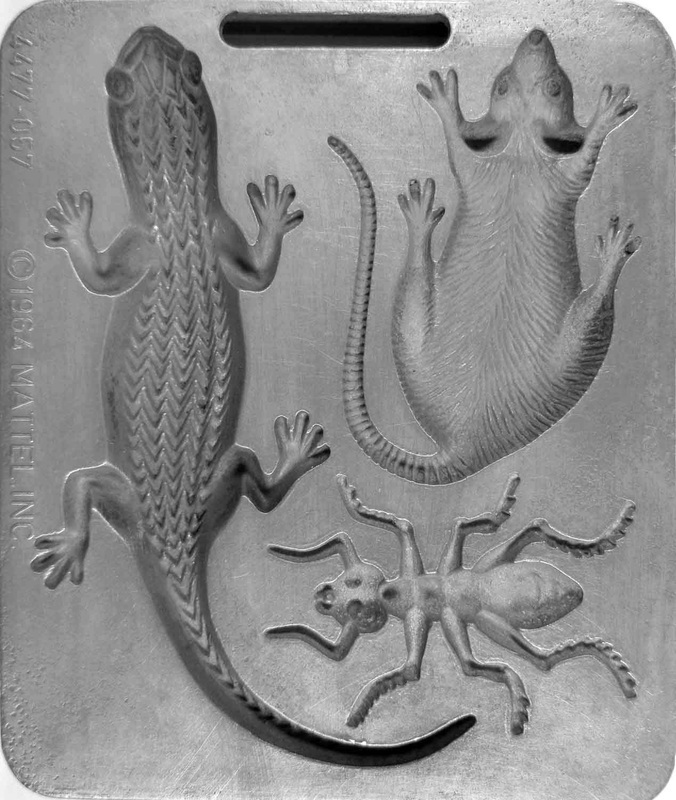 Notice when you go back and forth from the 2 photos of the front, you can see the lizards head move and also the big spider is chasing the ant. 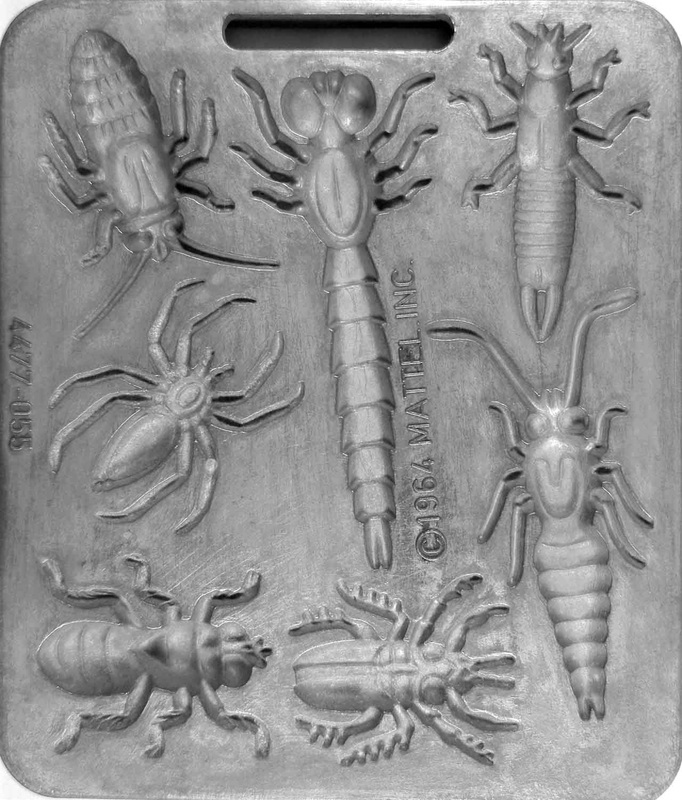 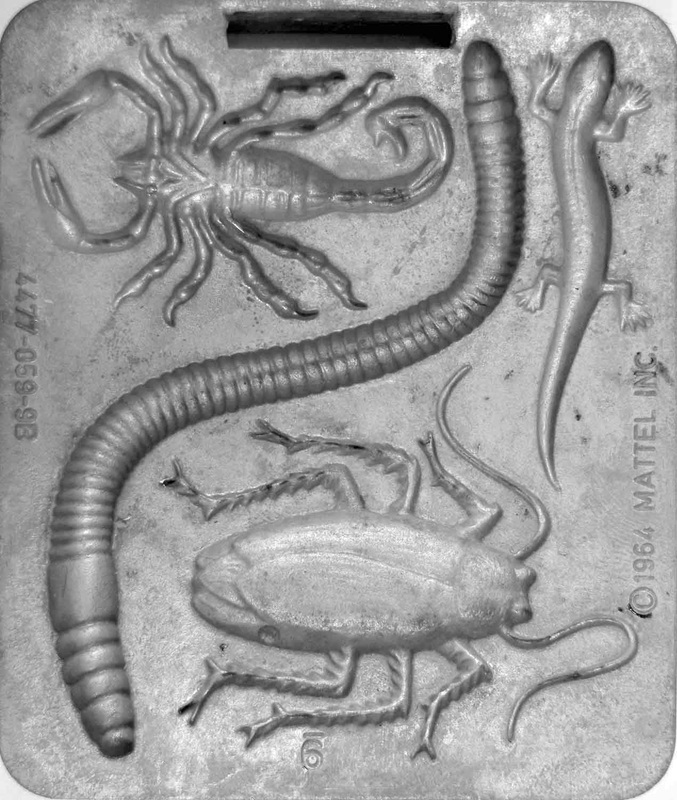 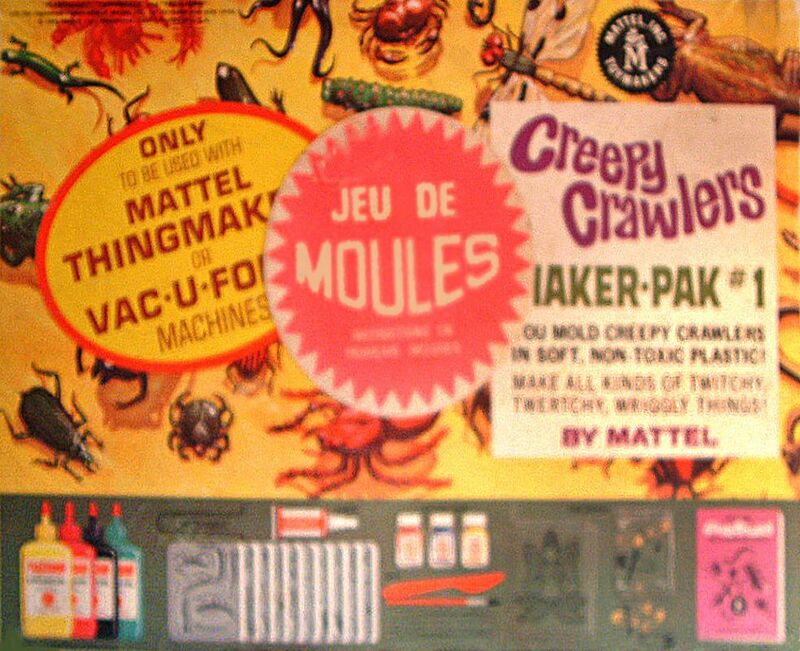 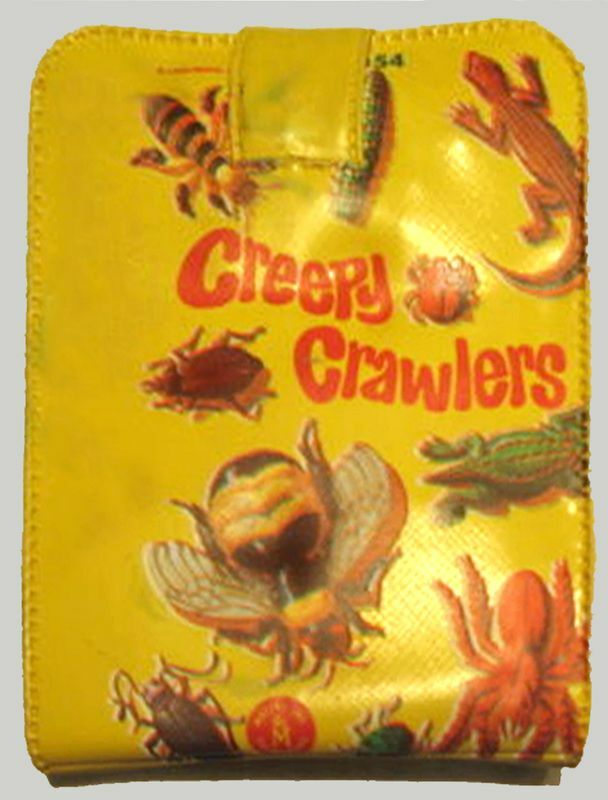 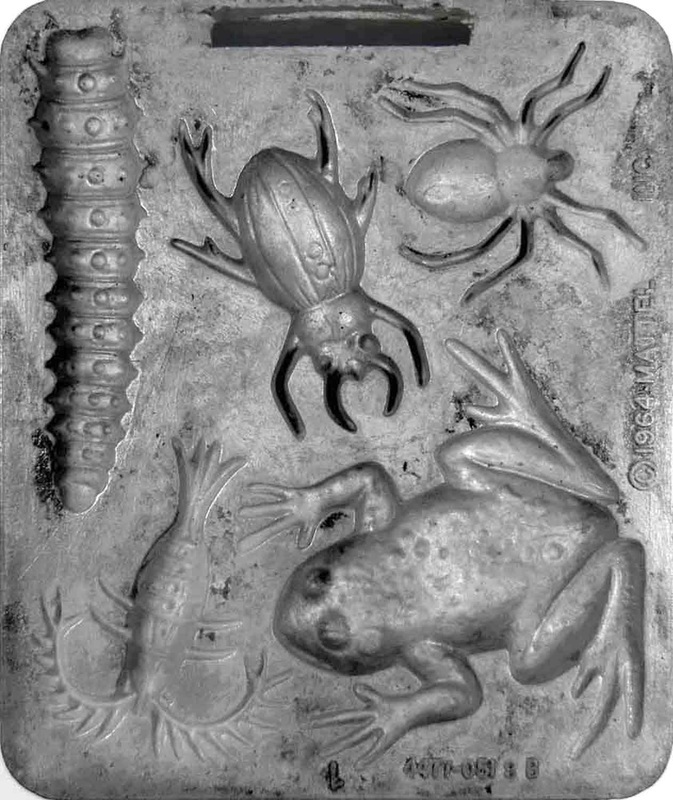 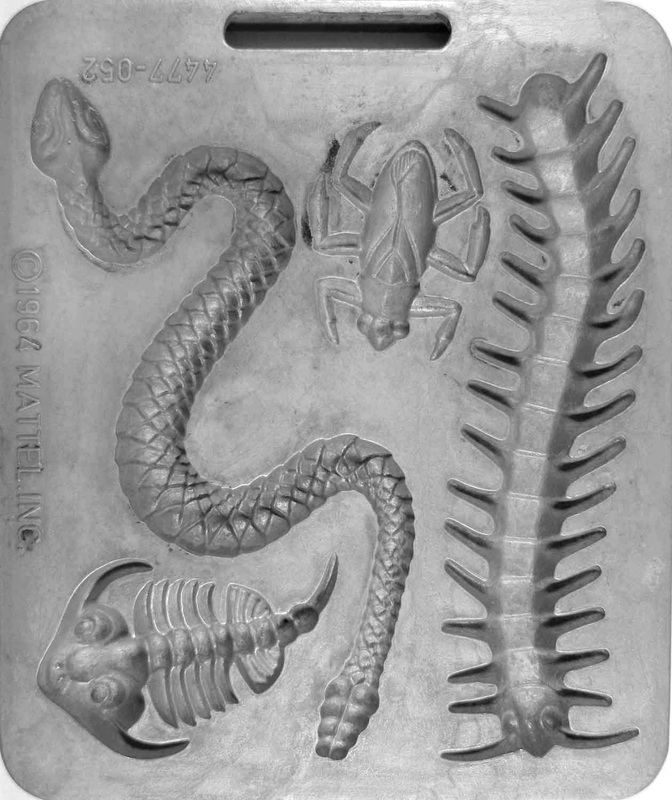 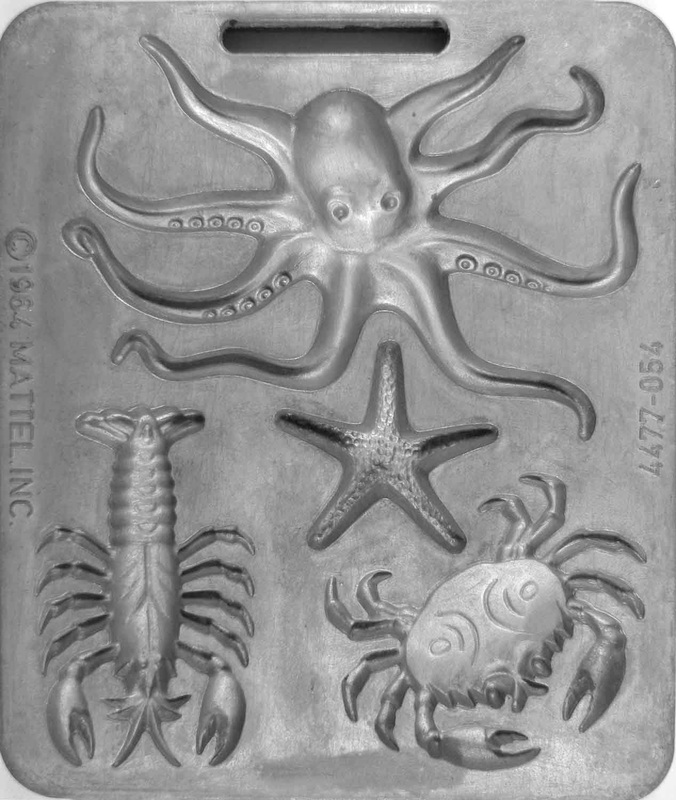 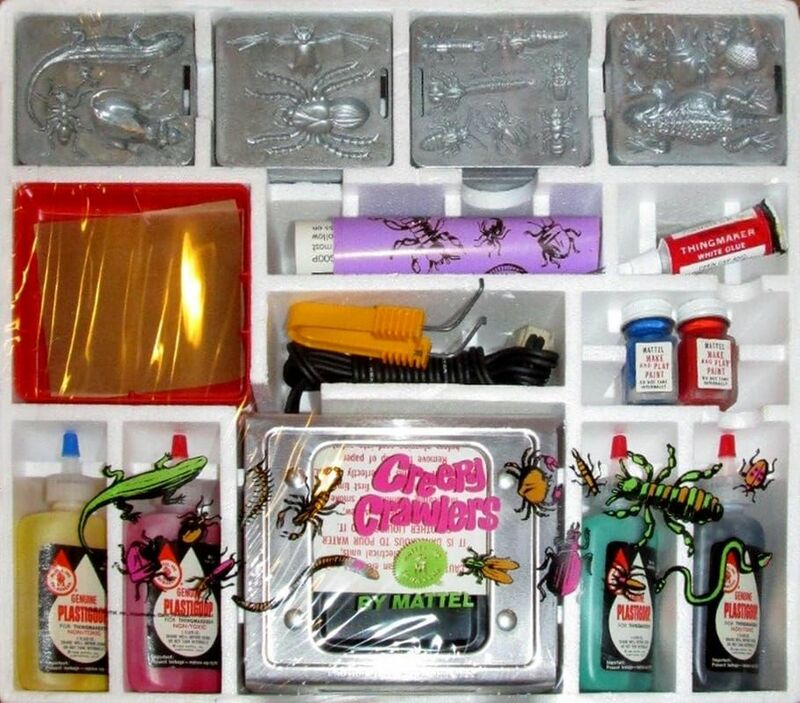 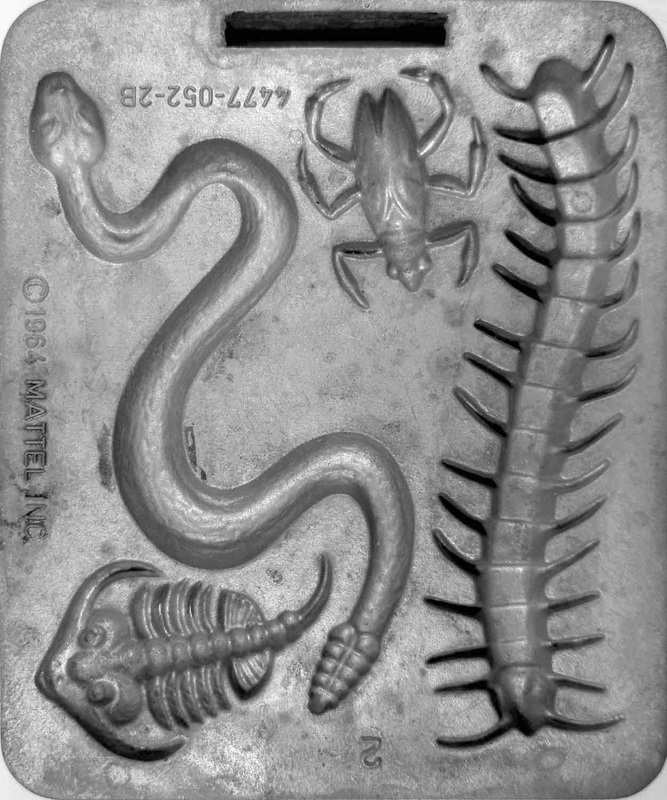 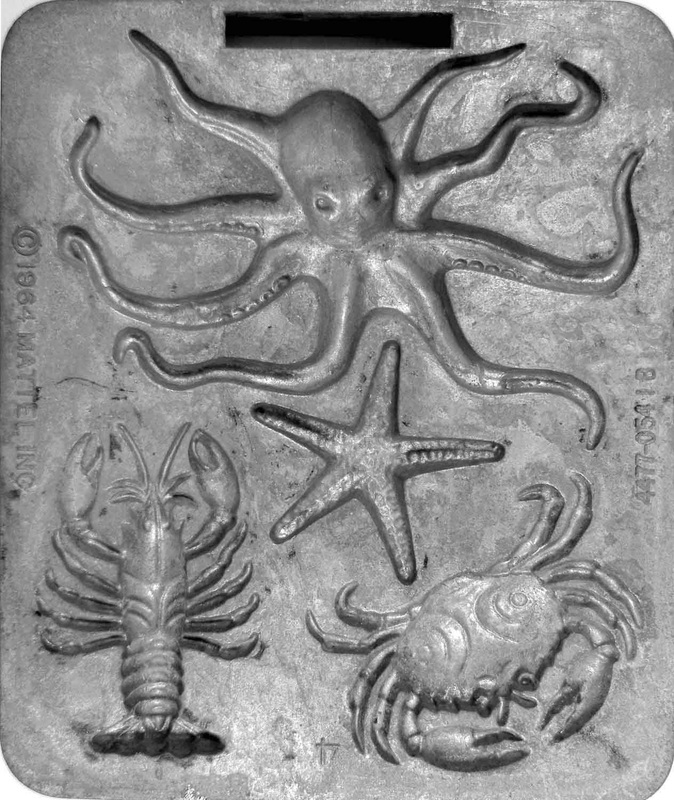 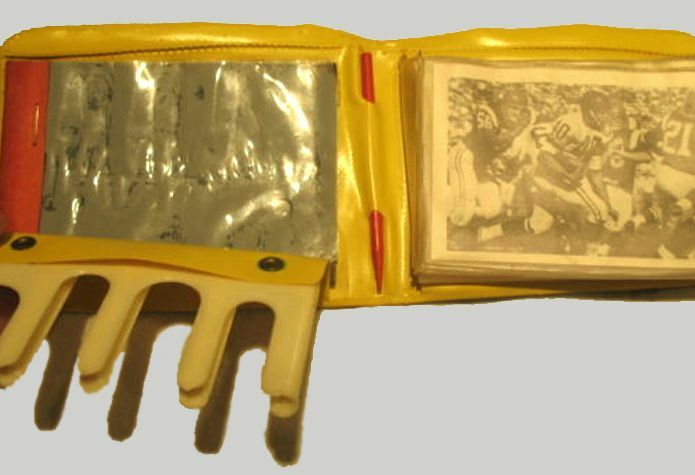 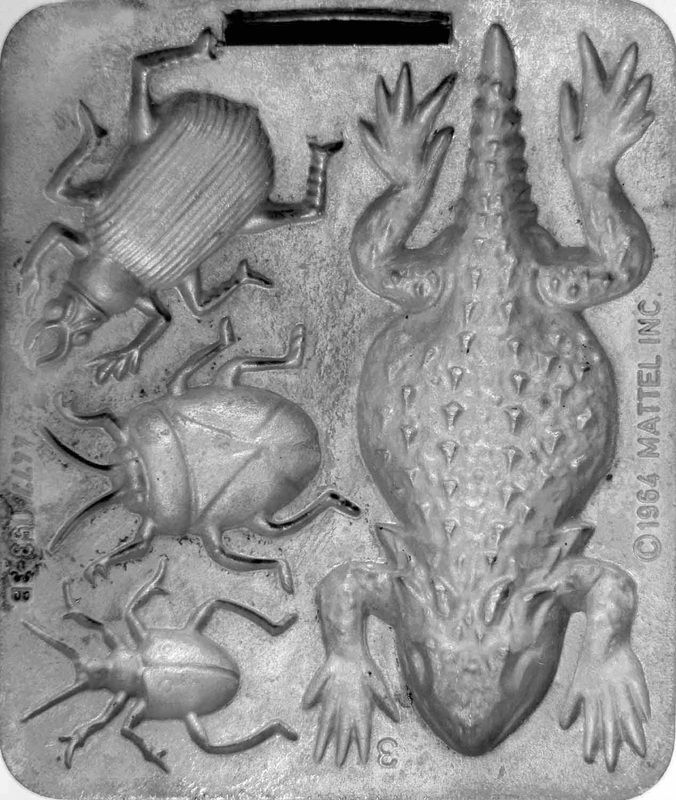 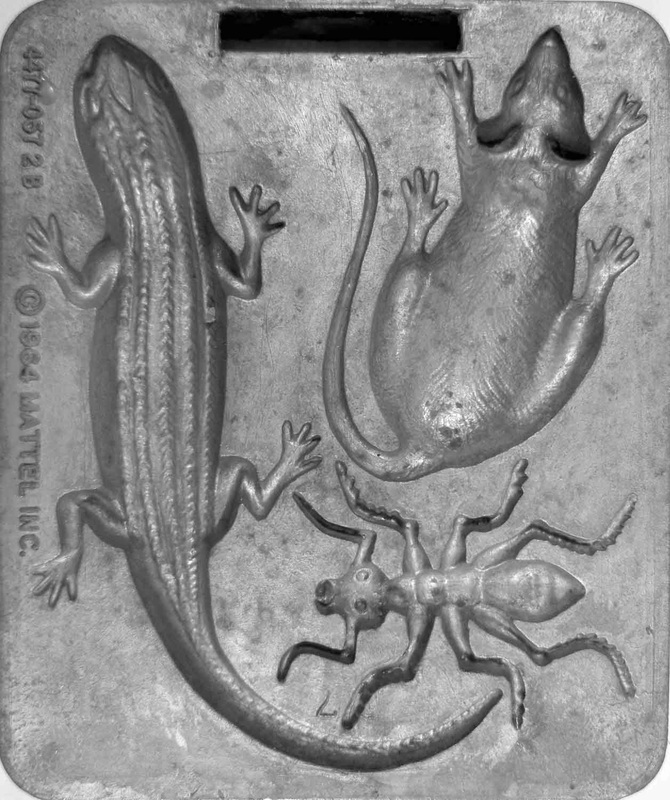 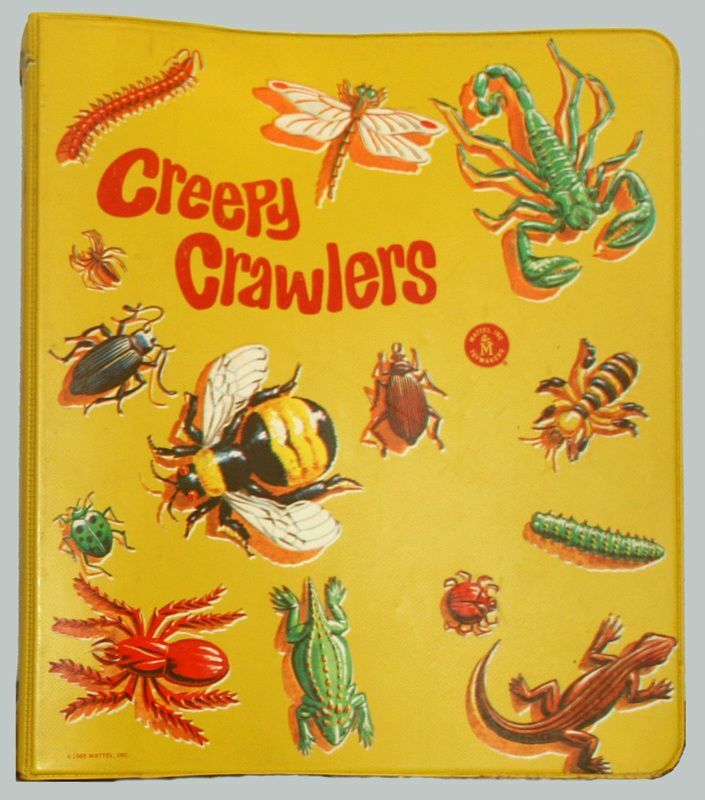 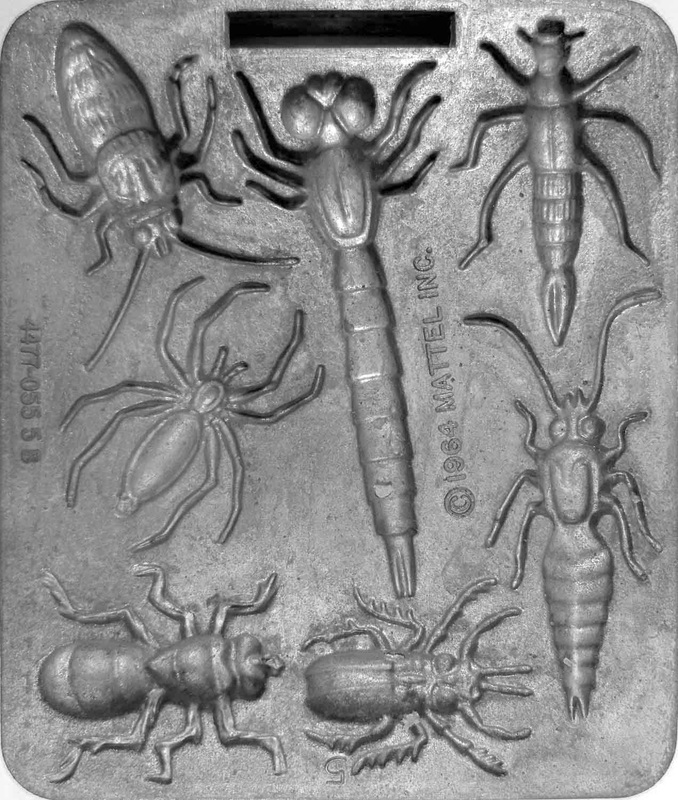 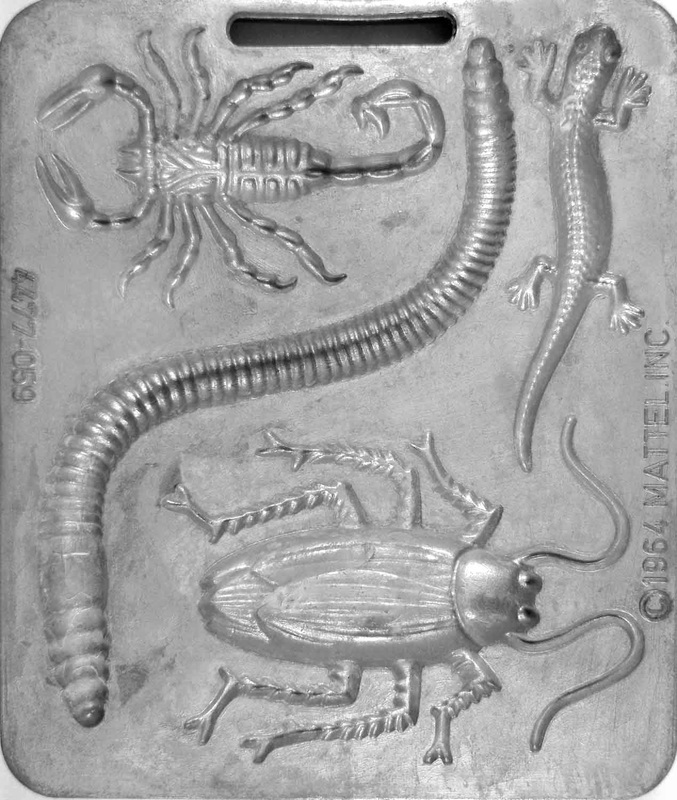 THE EXTREMELY RARE CREEPY CRAWLERS WALLET! 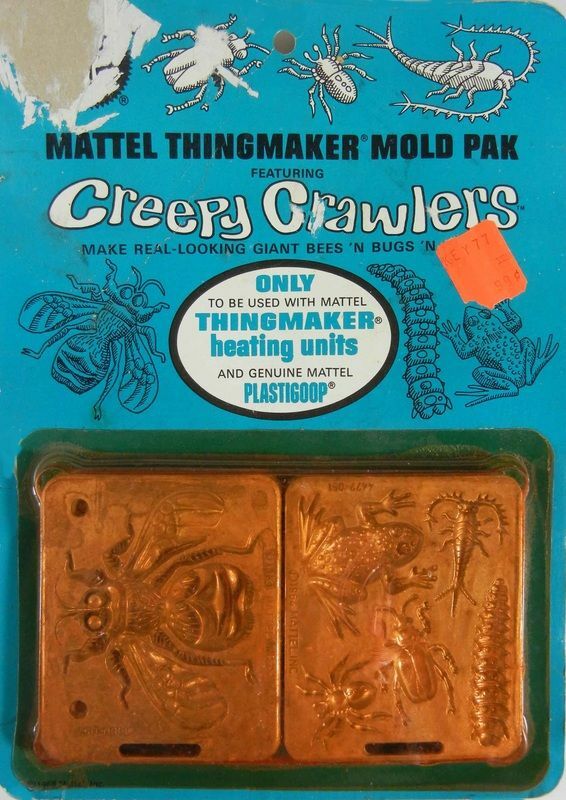 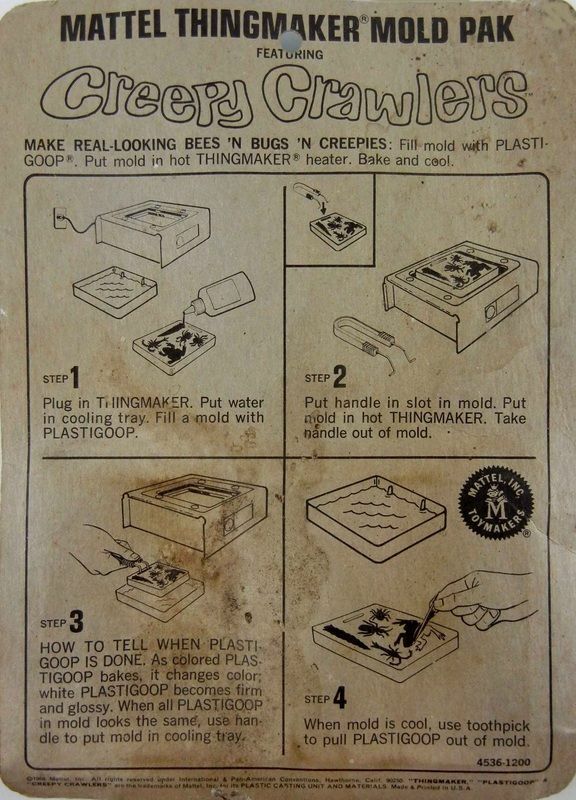 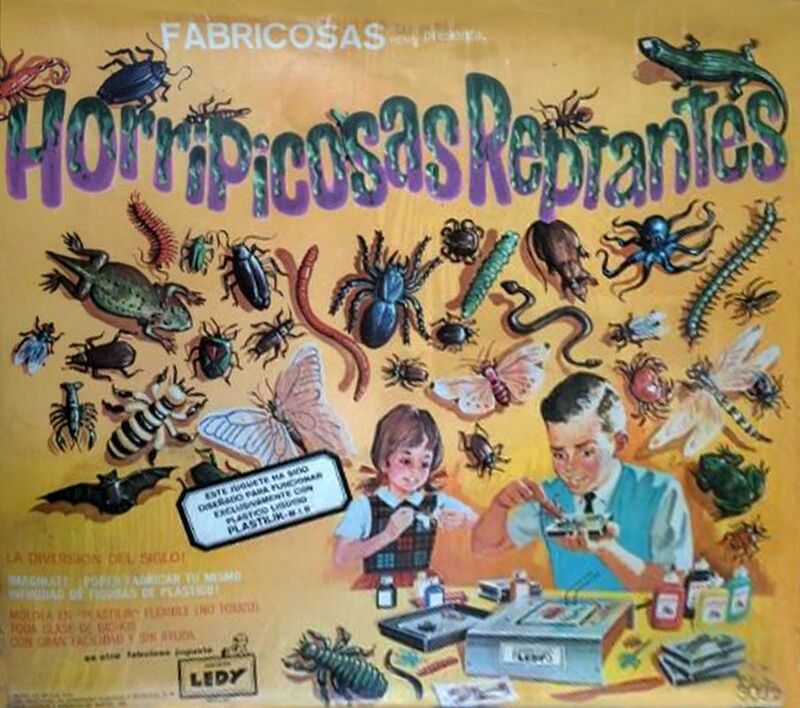 ONE OF THE HOLY GRAILS OF CREEPY CRAWLER COLLECTING! 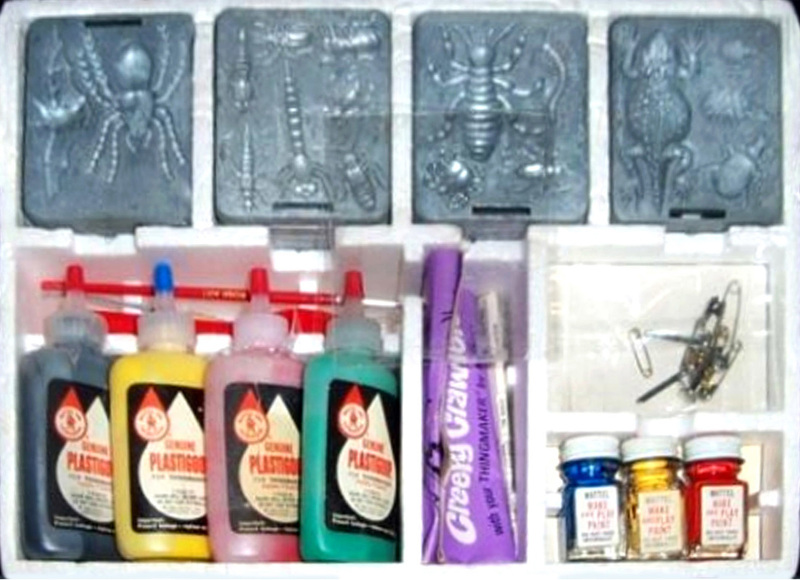 Courtesy of Alan Butman - Notice the original red marking device for writing on a Magic Slate. 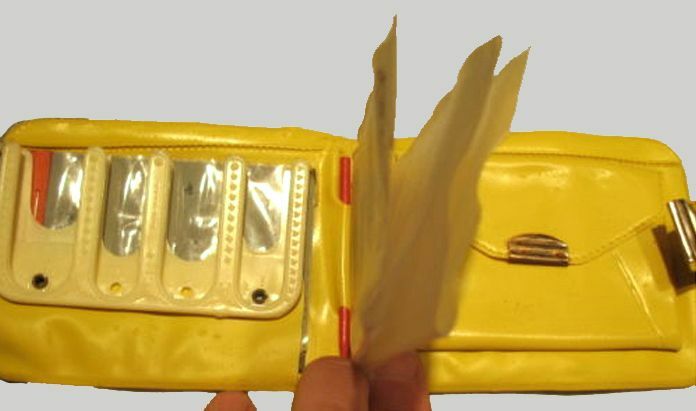 Courtesy of Alan Butman - Notice the slots for coins on the left, and the coin pouch on the right. 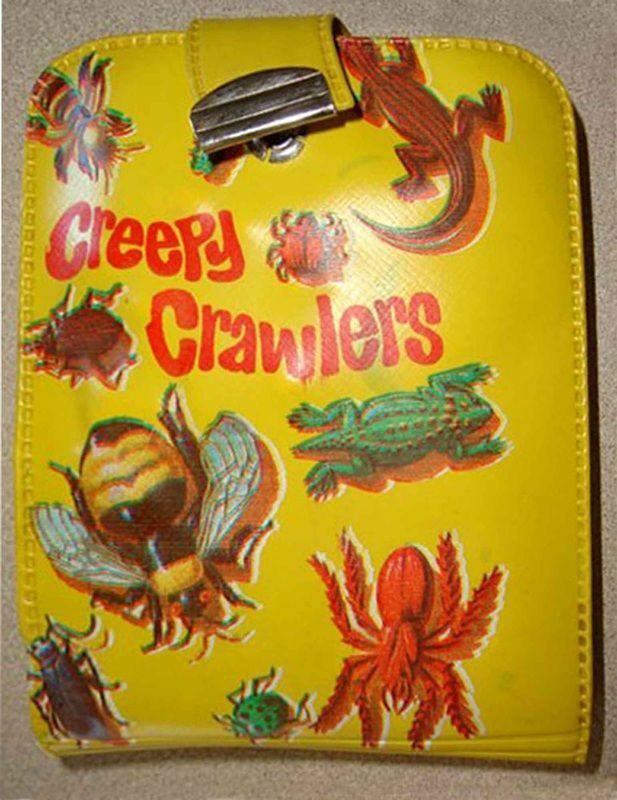 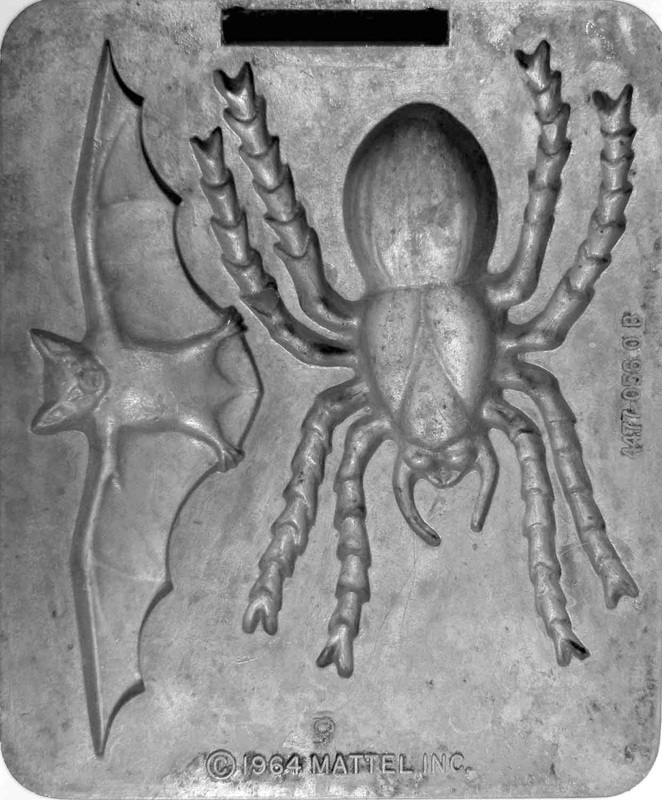 THE EXTREMELY RARE CREEPY CRAWLER 3-RING BINDER!